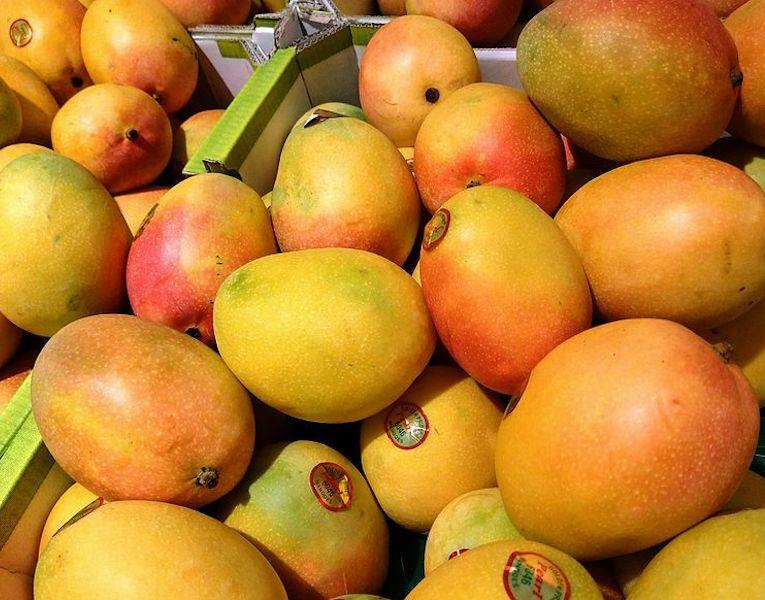 There’s nothing better than a sweet, juicy mango with a side of health benefits. But you’ll need to use all of your senses to pick the perfect fresh mango for the job. The seasonal tropical fruit grows from March to October, with the majority of cultivation happening in India, Pakistan and the Philippines. 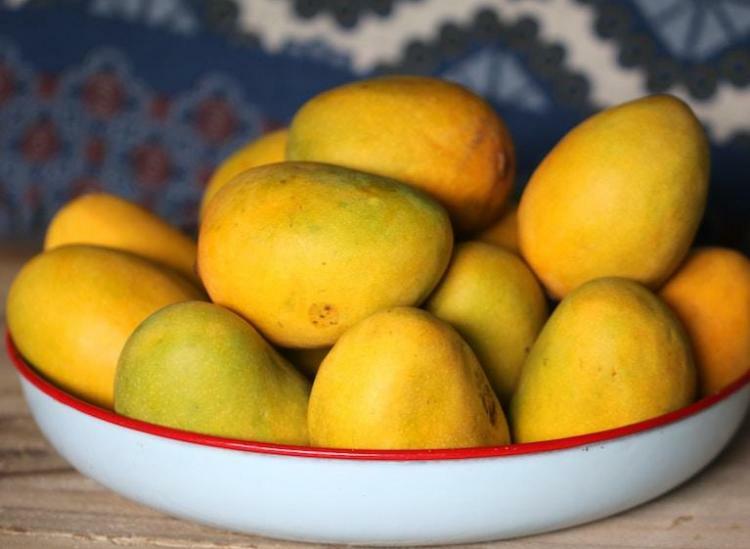 You know you’ve picked a ripe mango when it’s slightly soft and plump, especially around the stem. If you smell a mango right around the stem, it should have a sweet, strong, fragrant and fruity aroma. Keep in mind that the color isn’t always the best indicator of ripeness. Once you’ve found the perfect fruit eat, here are five health benefits that come as an added bonus to your mango addiction. Crappy digestion is a problem nobody wants to have. If we can discover natural ways to aid our digestion, why not? 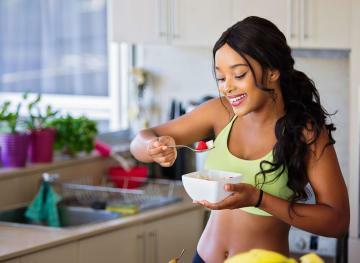 Your body needs around 15 grams of dietary fiber per day and mangoes provide the highest amount of total dietary fiber in comparison to other tropical fruits, with about five grams per mango. Fiber helps to maintain the beneficial bacteria in your gastrointestinal tract to create a healthy environment down there. 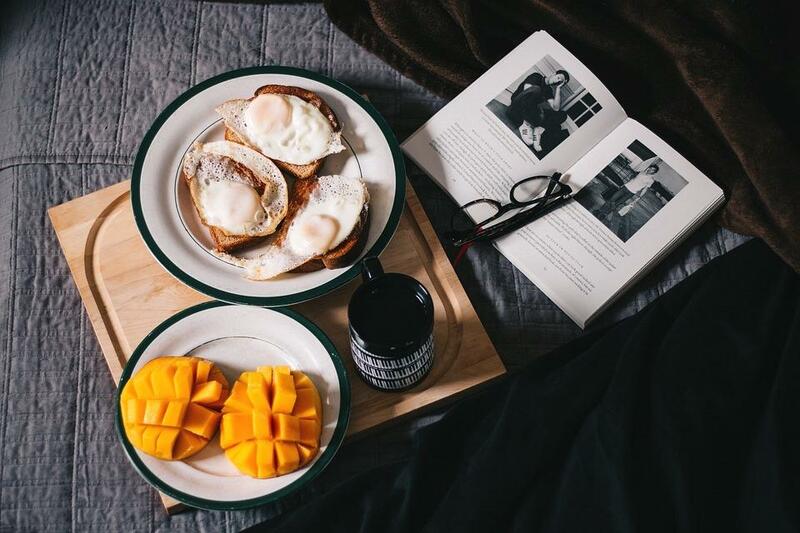 Mangoes also provide a safe vehicle for fiber consumption, which helps minimize your digestion issues down the road. The asthma life can be rough. It can be hard to keep up with your friends on a casual jog, you might have trouble climbing the stairs to your fourth-floor walk up and there’s a good chance you’re not voluntarily playing in a kickball league. If you’re lucky enough to be born without asthma, sliced mango may be able to help you prevent developing asthma later on in life. Certain nutrients like beta-carotene — found in fruits like mangoes, papayas, apricots and cantaloupe — get converted to vitamin A in your body and may help to lower your risk of developing breathing problems. In a world where our eyes are constantly being strained in order to adapt to new forms of technology, it’s important to find natural sources with high amounts of vitamin A. One cup of sliced mangoes can supply you with 25 percent of your necessary daily value of vitamin A. Since vitamin A helps to protect the surface of the eye, it’s crucial for good vision and eye health. Eating your favorite tropical fruit could also mean no more dry eyes, since vitamin A acts as a natural lubricant. Despite the different kinds of mangoes out there, the skin and pulp remain nutritious wherever they’re cultivated. Anyone who suffers from acne might be able to find some relief with mango skin. The vitamin A in mangoes is necessary for healthy growth of your bodily tissues like your hair and skin. This way you’ll be helping your body from the inside out. You can rub the pulp of the mango on your skin to help clear your pores and prevent pimples and blackheads. The mango will help to clear bacteria from your skin and you’ll be making use out of the whole fruit, mango peel and all, in the process. Yay for sustainable beauty and helping your clogged pores! Thanks to research, we know that mangoes can help to protect against colon cancer, breast cancer and prostate cancers. According to the study, mangoes have anti-inflammatory properties, known as mango polyphenols, that could help kill cancer cells. The potassium, fiber and vitamin content of mangoes can also help to protect against heart disease. Since mangoes are high in folate, the tropical fruit can also help the body to make red blood cells, which deliver oxygen throughout your body and prevent you from being weak or anemic. You can rely on mangoes for Vitamin C, which helps to boost your entire immune system. We’re not saying you can expect a miracle from one mango, but the next time you’re in the fruit and veggie aisle, keep these health benefits in mind. If you can find organic mangoes, even better.